In 2013, Alexandra Acosta-Conniff, an Alabama school teacher and single mother of two children, filed an adversary proceeding in an Alabama bankruptcy court, hoping to discharge student loans that had grown to $112,000. She did not have an attorney, so she represented herself in court. At her trial, Judge William Sawyer applied the three-part Brunner test to determine whether Acosta-Conniff met the "undue hardship" standard for having her student loans discharged in bankruptcy. First, Judge Sawyer ruled, Conniff could not pay back her student loans and maintain a minimal standard of living for herself and her two children. Thus she met the first part of the Brunner test. Second, Conniff's economic circumstances were not likely to change in the foreseeable future. Conniff was a rural school teacher, Judge Sawyer pointed out, who could not expect a significant rise in income. Although she had obtained a doctorate in education, that doctorate had not paid off financially. Third, Judge Sawyer ruled, Conniff had handled her student loans in good faith. She had made monthly payments over several years and she had obtained deferments from making payments--deferments she was eligible to receive. In Judge Sawyer's view, Conniff met the good-faith requirement of the Brunner test. In short, Judge Sawyer determined, Conniff qualified for bankruptcy relief under the Bankruptcy Code's "undue hardship" standard as interpreted by Brunner. Accordingly, the judge discharged all of Conniff's student-loan debt. ECMC appealed, and Judge Keith Watkins reversed. 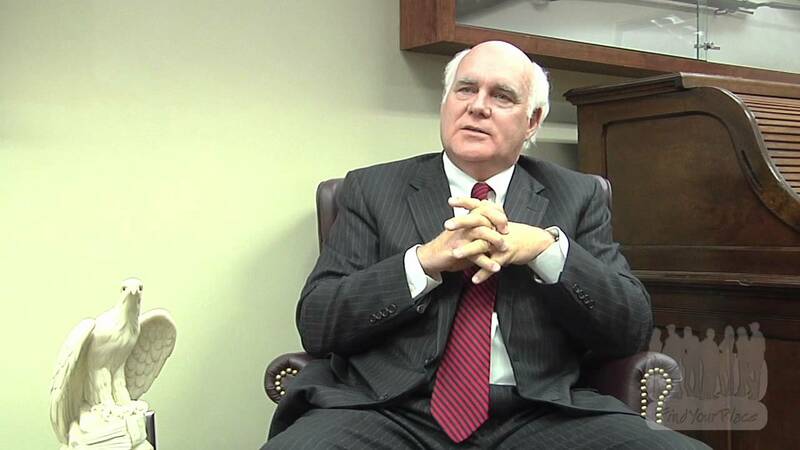 Fortunately, retired bankruptcy judge Eugene Wedoff volunteered to represent Conniff without charge, and Wedoff and his associates took her case to the Eleventh Circuit Court of Appeals. In 2017, four years after Conniff filed her adversary proceeding, the Eleventh Circuit reversed the trial court, directing Judge Watkins to review Judge Sawyer's ruling under the "clear error" standard. In other words, unless Judge Sawyer had committed clear error in deciding for Conniff, Judge Watkins was bound to uphold Sawyer's decision. The Eleventh Circuit remanded the case back to Judge Watkins to straighten things out. In January 2018, Judge Watkins issued his second opinion in Conniff's case, and he concluded that Judge Sawyer had indeed committed clear error when he ruled in Conniff's favor. Judge Watkins' opinion is a bit convoluted, but basically he said Judge Sawyer made a mistake in failing to determine whether Conniff was eligible for an income-contingent repayment plan (ICRP). In Judge Watkins' opinion, if Conniff can make even small loan payments under an ICRP and still maintain a minimal standard of living, she is not eligible for bankruptcy relief. It means Alexandra Acosta-Conniff must return to bankruptcy court a second time--more than three years after her first trial. Apparently, Judge Sawyer will not schedule a second trial; instead, he has asked Conniff and ECMC to submit proposed findings of facts. At some point, Judge Sawyer will issue his second opinion on Conniff's case. Conniff owed $112,000 in 2015, when she was 44 years old. Her debt has grown over the last three years due to accrued interest, and Conniff is older. She is now 47 years old. What does the future hold for Alexandra Acosta-Conniff? More litigation. If Conniff wins her second trial, ECMC, ruthless and well financed, will undoubtedly appeal again; and the case will ultimately go back to the Eleventh Circuit a second time. Conniff now has an able lawyer, so if she loses before Judge Sawyer, she will likely appeal. So--win or lose--Conniff is in for at least two more years of stressful litigation. When this is all over, Conniff will likely be 50 years old. Here's my take on Conniff's sad odyssey through the federal courts. First, Judge Watkins' most recent decision is deeply flawed. In Watkins' view, a student-loan debtor who can make even small loan payments under an ICRP while maintaining a minimal standard of living cannot discharge her student loans in bankruptcy: period. But if that were true, then no student-loan debtor is eligible for bankruptcy relief. In several cases, ECMC or the U.S. Department of Education has argued that a student-loan debtor living at or below the poverty line should be denied bankruptcy relief and required to enter into an ICRP even though the debtor would be required to pay zero. In fact, ECMC and DOE have been arguing for years that basically every destitute student-loan debtor should be put in an ICRP and denied bankruptcy relief. Do want some examples? Roth v. ECMC (9th Cir. BAP 2013), Myhre v. U.S. Department of Education (Bankr. W.D. Wis. 2013), Abney v. U.S. Department of Education (Bankr. W.D. Mo. 2015), Smith v. U.S. Department of Education (Bankr. D. Mass. 2018). The Roth case illustrates the insanity of this point of view. In that case, ECMC fought bankruptcy relief for Janet Roth, an elderly retiree with chronic health problems who was living on less than $800 a month in Social Security benefits. Put her in an ICRP, ECMC insisted, even though she would be required to pay nothing due to her impoverished circumstances. The Ninth Circuit's Bankruptcy Appellate Panel pointed out the absurdity of ECMC's position. It would be pointless to put Roth in an ICRP, the court ruled. "[T]he law does not require a party to engage in futile acts." Forcing Alexandra Acosta-Conniff into an ICRP, which Judge Watkins obviously desires, is a futile act. She will never pay off her student loans, even if she makes small monthly income-based payments for the next 25 years. Acosta-Conniff is a big, big case. If Judge Watkins' hardhearted view prevails, then bankruptcy relief for student-loan debtors is foreclosed in the Eleventh Circuit. If the compassionate and common-sense spirit of Judge Sawyer's original 2013 opinion is ultimately upheld, then distressed student-loan debtors like Alexandra Costa-Conniff will get the fresh start that the bankruptcy courts were intended to provide. The Eleventh Circuit Court of Appeals will ultimately have to look at Alexandra Acosta-Conniff's case a second time. But her next trip to the Eleventh Circuit is likely at least two years away. Acosta-Conniff v. ECMC, 536 B.R. 326 (Bankr. M.D. Ala. 2015). ECMC v. Acosta-Conniff, 550 B.R. 557 (M.D. Ala. 2016). ECMC v. Acosta-Conniff, 686 Fed. Appx. 647 (11th Cir. 2017). ECMC v. Acosta-Conniff, 583 B.R. 275 (M.D. Ala. 2018). Kristin Price, a single mother of three young children, won an important victory in a Pennsylvania bankruptcy court last month. On June 23, Judge Eric Frank issued an opinion discharging all of Ms. Price's federal student loans--approximately $26,000. This is another win for the good guys. At the time of trial, Ms. Price was 29 years old and had three children ages 3, 5 and 11. Although she was still married, she was separated from her husband and anticipated a divorce. Price obtained a Bachelor of Science degree in Radiology Science from Thomas Jefferson University in 2011, financing her studies with federal and private loans. At the time of trial, she worked part-time as a vascular sonographer but was unable to find full-time work in her field. She testified she could obtain a second part-time job working outside her field but the additional child care costs did not justify that option. Price received informal child support from her estranged husband, but her reasonable expenses still exceeded her income. She testified that she lived with her mother in return for paying her mother's mortgage payment--about $1400 a month. At the time Price filed her adversary complaint in the bankruptcy court, she owed nearly $26,000 in federal loans and $30,000 to Chase Bank. Price settled with Chase prior to trial. Thus the only issue before Judge Frank was whether Price was entitled to have her federal loans discharged. Judge Frank applied the three-part Brunner test to decide Price's case. The Department of Education conceded that Price passed the first prong of the Brunner test; she could not pay back her federal loans and maintain a minimal standard of living. The Department also conceded that Price passed Brunner's third prong. It acknowledged that she had handled her student loans in good faith. But DOE argued that Price could not pass Brunner's second prong. According to DOE, Price could not show additional circumstances making it likely that her financial situation would not improve "for a significant portion of the repayment period of the student loans." Basically, DOE maintained that Price was young and healthy and was qualified for a good job in the medical field. Eventually, DOE pointed out, Price's children would grow up and leave the home, which would enable Price to get a better job and repay her student loans. And here is where Judge Frank's opinion gets interesting. Price argued that her future financial prospects should be considered for no longer than the remaining period of her 10-year loan repayment obligation, which ended in 2024. DOE argued that Judge Frank should consider Price's financial prospects for a much longer time--the 20- or 25-year period of an income-based repayment plan. Fortunately for Price, Judge Frank did not buy DOE's argument. The judge ruled that Price had rejected a long-term income-based repayment plan in good faith; and thus he would consider her financial prospects based on the terms of her ten-year repayment obligation and not the 20 or 25 years DOE requested. Judge Frank said he was obligated to consider Price's future financial prospects based on "specific articulable facts, not unfounded optimism." If he were required to consider Price's financial situation over a 20- or 25-year term, Judge Frank reasoned, his determination "[would] be nothing more than mere guesswork, without any reasonable degree of certitude." Moreover, Judge Frank pointed out, DOE's own expert testified that DOE's 20-year REPAYE program was ill-suited for Price and that he would not recommend it for her. Judge Price also noted that a REPAYE plan would require Price to consolidate her debt, which would cause accrued interest to be capitalized into a larger loan balance--meaning she would be "paying interest on interest." If Price's meager income did not improve significantly in later years, Judge Frank explained, her loan would eventually "reach a kind of 'escape velocity,'" meaning that her monthly payments would not be enough to cover accruing interest and her loan balance would grow "for the next several decades." Based on this analysis, Judge Frank then considered what Price's financial prospects would likely be over the next five years--about 70 percent of the remaining repayment period. The judge concluded Price would probably be unable to pay back her loans over that period. In short, after applying the second prong of the Brunner test to Price's financial outlook, the judge discharged all of Price's federal loans. Without question, the heart of Judge Price's ruling was based on his conclusion that Price had rejected a long-term payment period in good faith. And of course, his decision was made a lot easier due to the fact that DOE's own expert admitted that a long-term repayment plan was not appropriate for her. What does the Price decision mean for other overburdened student-loan debtors? First, this is the most recent in a string of bankruptcy court decisions that have discharged student-loan debt owed by single mothers with dependent children. Price follows in the wake of Lamento, Acosta-Conniff (on appeal), Fern, and McDowell--all decisions involving single mothers with children who won discharges or partial discharges of their student loans. Second, this is the latest in a series of very well-reasoned bankruptcy court decisions in which bankruptcy judges have worked hard to grant relief to overburdened debtors within the harsh constraints of the Brunner test. Judge Frank's decision was 25 pages long; Judge Berger's decision in the Johnson case out of Kansas was extensively researched. The Abney decision, the Fern decision, and several more have displayed remarkable intellectual agility and commendable commitment to the bankruptcy courts' core purpose, which is to grant overburdened debtors a fresh start in life. Third, Judge Frank ruled that when a court applies the second prong of the Brunner test to determine whether a debtor's financial prospects will improve in the future, the appropriate time period for consideration is the original term of the loan (generally 10 years) rather than the extended term of a hypothetical 20-year or 25-year income-based repayment plan. Admittedly, Judge Frank's conclusion on this last point is a little fuzzy. Price had refused to sign up for a long-term, income-based repayment plan, and Judge Frank ruled that Price's decision to reject such a plan had been made in good faith. Judge Frank might have ruled differently if Price had signed up for a 20-year REPAYE plan before filing for bankruptcy. Indeed, the judge wrote that the "outcome may well be different in other cases in which the extended loan repayment programs present a more attractive option, or for other appropriate reasons." And the judge also noted that DOE did not dispute the fact that Price's decision to reject a long-term repayment plan had been made in good faith. In the final analysis, all we can say for sure about the Price decision is this: A healthy 29-year old mother of three children with good future job prospects won a bankruptcy discharge of her student loans based primarily on the fact that her judge did not think Price would be in a position to repay her loans over the next five years. Personally, I would have liked the Price decision better if Judge Frank had said that a student-loan debtor's financial prospects should always be limited to the term of the original student loan--generally no more than 10 years. That's not what the judge ruled. Nevertheless, it is a good decision for student-loan debtors. Acosta-Conniff v. ECMC [Educational Credit Management Corporation], 536 B.R. 326 (Bankr. M.D. Ala. 2015), reversed, 550 B.R. 557 (M.D. Ala. 2016), reversed and remanded, No. 16-12884, 2017 U.S. App. LEXIS 6746 (11th Cir. Apr. 19, 2017). Richard Fossey & Robert C. Cloud. Tidings of Comfort and Joy: In an Astonishingly Compassionate Decision, a a Bankruptcy Judge Discharge the Student Loans of an Alabama School Teacher Who Acted as Her Own Attorney. Teachers College Record, July 20, 2015. ID Number: 18040. Price v. U.S. Department of Education, ky. No. 15-17645 ELF, Adv. No. 16-0011, 2017 Bankr. LEXIS 1748 (Bankr. E.D. Pa. 2017). McDowell v. Educational Credit Management Corporation, 549 B.R. 744, 774 (Bankr. D. Idaho 2016). Alan Collinge wrote an interesting book a few years ago entitled The Student Loan Scam, which I reviewed in the Journal of Law and Education. He is very knowledgeable about the student-loan crisis, and much that he has to say about this problem is useful. Nevertheless, he is far too pessimistic about bankruptcy relief for student-loan debtors. In an interview with Peter J. Reilly, a Forbes Magazine contributor, Collinge expressed a very bleak view regarding a distressed student-loan debtor's chances in the bankruptcy court. As Reilly summarized Collinge's position, "Alan argued that the chance of bankruptcy relief remains remote, and that the murmurers may be consultants who are engaging in bait and switch." In the interview itself, Collinge said, "Almost no well-versed lawyer will recommend it because of the unlikelihood of winning." [M]ake no mistake, even for the most destitute borrowers, the Department of Education, ECMC, and the entire lending industry are continuing to pour massive resources into defeating them in bankruptcy court by using shameless fear tactics with the judges, who they pressure ceaselessly--and usually successfully--to make bankruptcy determinations against [ ] these most impoverished individuals rather than for them. And I think Collinge is also correct to say that so-called "debt coaches" and consultants may be dispensing inaccurate information about bankruptcy relief for the purpose of signing up distressed student-loan debtors in "loan rehabilitation" plans whereby student loans are repackaged into larger loans due to the various fees and penalties that get tacked on to the original principal. But Collinge is just wrong to disparage the bankruptcy option for discharging student loans. Several bankruptcy courts have ruled with surprising compassion and common sense toward student-loan borrowers in recent years--relieving honest but unfortunate debtors of their student-loan obligations. Remarkably, many student-loan debtors have been successful in the bankruptcy courts even when they went to court without lawyers. Abney v. U.S. Department of Education, Acosta-Conniff v. ECMC, Johnson v. Sallie Mae, and Precht v. U.S. Department of Education--all decided within the last year--are recent victories for student-loan debtors who represented themselves in bankruptcy court. It is true that some student-loan debtors have lost their cases in the bankruptcy courts. Butler v. ECMC, decided last month, is a particularly heartbreaking case because Brenda Butler's situation was more dire than several student-loan debtors who won their cases. But Roth v. ECMC and Krieger v. ECMC, two appellate-level decisions, are an indication that the federal courts are rethinking their harsh stance toward student-loan debtors. One thing is certain. 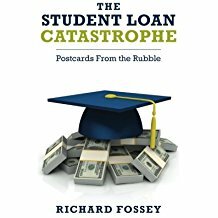 Overburdened and insolvent student-loan debtors have nothing to lose by trying to get their student-loan debt discharged in bankruptcy. And it is not helpful or useful to tell people that bankruptcy relief for student-loan debt is nearly impossible. As Bob Dylan put it,"[D]on't speak too soon for the wheel's still in spin." In other words, the times may be a-changing. Acosta-Conniff v. Educational Credit Corporation, 536 B.R. 326 (M.D. Ala. 2015). Abney v. U.S. Department of Education, 540 B.R. 681 (W.D. Mo. 2015). Johnson v. Sallie Mae, ., No. 11-23108, Adv. No. 11-6250, 2015 WL 795830 (Bankr. D Kan. Feb. 19, 2015). Precht v. United States Department of Education, AD PRO 15-01167-RGM (Bankr. E.D. Va. Feb. 11, 2016 (Consent Order).